With hundreds of high quality products to choose from, Envirotek Solutions is your one-stop shop for restaurant supplies and commercial appliances. We have a fantastic selection of conveyor dishwashers, glass washers, under-counter dishwashers, and single and double rack dishwashers to meet your every need! With industrial dishwashers from some of the most trusted brands in the food-service industry, you are sure to have a quality-built and affordable option for your business. 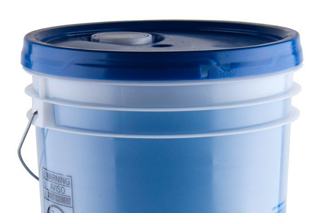 Whether you run an upscale restaurant or a casual diner, our commercial dishwasher supplies and accessories are must-have products for any establishment. Keeping your dishes, glassware, and flatware clean is an absolute necessity in any size food service operation. 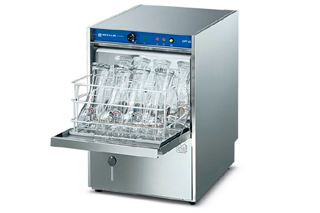 A commercial dishwasher allows any restaurant to quickly and efficiently clean your wares with minimal effort! 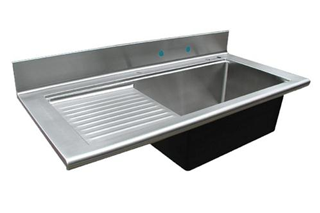 Our supply of commercial dishwasher equipment and accessories will easily take the hassle out of cleaning dirty pots, pans, and dishes so you can get back to other important tasks in your establishment. 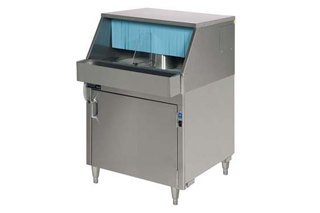 Browse through our selection of Warewashing equipment to keep your kitchen clean, sanitized, and organized! Contact one of our agents to assess your business for the recommended equipment. 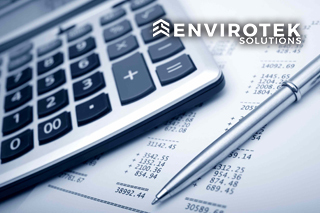 At Envirotek Solutions our team has over 20 years of experience and we have become extremely passionate about the hospitality industry and development of people to achieve exceptional results in this highly competitive industry. © ENVIROTEK SOLUTIONS INC. ALL RIGHTS RESERVED.